Evening entertainment recommended *Optional:Acrobatic show. An exciting day awaits you as we head to the Terra-cotta Warriors Museum. We will spend plenty time to visit the luxury underground palace of Emperor Qinshihuang, The Archaeological Museum of 6,000 life-size Terracotta Warriors and their horses. The warriors were the after life protectors of the first emperor who united China (221BC-206BC). Enjoy our lunch include Xian's specialities. Following this we will visit the Big Wild Goose Pagoda, built as a Buddhist Monastery during the Tang Dynasty. We enjoy the jovial atmosphere around the beautiful Pagoda and picturesque boulevard where Xian residents come to meet & relax. After breakfast we explore Xian and visit the old Muslim Quarter of the City which is home to large Ethnic Muslim Chinese community, who have lived in the city since the silk road was established. Enjoy walking through Muslim Square which leads into narrow winding streets crammed with shop stalls selling an array of interesting handcrafts and local food specialities. We also give time to visit the Wooden Mosque. Afterwards we will visit the majestic Bell Tower (exterior) for photo opportunities, and Drum Towers (inside) where provides fantastic bird's view across the city centre. In the afternoon we enjoy a leisurely walk & optional cycle ride on the ancient city walls. The smooth & well preserved walls make for an ideal and safe walking & cycling route around the inner historic city centre and are a charming way to enjoy the local lifestyle of Xian. Late afternoon take a flight to Chengdu, the home of China's most famous residents, the Giant Panda. After breakfast we drive to the Giant Panda Breeding Research Base to visit the giant pandas. You have plenty time to watch the Pandas in their playful activities and see them enjoy their Bamboo meals. After lunch, drive to Leshan mountain and visit the Giant Buddha Statue. We take a pleasant boat ride. Chengdu is also the home to the famous spicy Sichuan cuisine. Tonight, our dinner is booked at an excellent Sichuan cuisine restaurant where you can enjoy their delicious dishes. Evening entertainment recommended *Optional: A variety style in one of the best show house, includes the famous Chengdu face-changing performance. Ask for prices & details at time of booking. In the morning, we take a stroll down the historic Jin li Street and Kuan zai Ally to observe the local culture and traditional wooden tea houses. Then we go to the unique and well preserved Wenshu Monastery, enjoy our vegetarian lunch there. In the afternoon, we take the fast train to Chongqing, the city with the largest population in China. 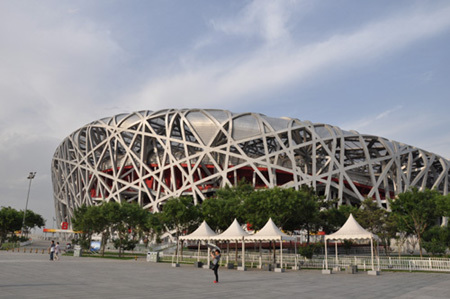 Upon arrival, your local guide who will take you on a tour to see the main sights in Chongqing including the People's Square. Later we visit the Three Gorges Museum. In the evening after dinner we board our Yangtze cruise ship. 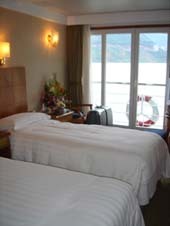 Enjoy magnificent views as you sail the mighty Yangtze River. After breakfast enjoy a shore excursion to the scenic Zhangfeimiao or Fengdu (depends on sailing schedule). Entertainment and organised activities on board, with Captain's welcome dinner to attend. Todays shore excursion is to the Shennong Stream or Lesser 3 Gorges (depends on sailing schedule). Our cruise today sails through the spectacular Qutang Gorge and Wu Gorge. Entertainment and organised activities on board, with the farewell dinner party in the evening. After breakfast we take a special shore excursion to see the Three Gorges Dam project. Today the cruise ship passes through the beautiful Xiling Gorge. Arriving at Yichang around noon, where we disembark and meet our guide who will take you to the airport for your flight to Guilin. Upon arrival meet our local guide and transfer to your hotel. Guilin is a beautiful city set among picturesque mountains alongside the majestic Li River. 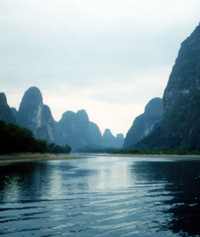 Many of our travellers loved Guilin and Yangshuo very much. We take a tour to the delightful Fubo Hill or Elephant Trunk Hill (depends on local situation). Later we visit Reed Flute Cave, a vast underground cavern of exotic rock formations. Evening entertainment recommended *Optional:to see the fantastic Ethnic Dragon dance theater show. After breakfast we take an hour drive to Zhujiang Dock, where you will board our boat and start cruising down the picturesque Li River with lime stone pinnacles, water buffalos, farms and villages on both sides of the river bank. Lunch will be served on board and we will disembark upon arrival at Yangshuo, a charming ancient town that is famous for its beautiful scenery. We are driven to airport for flight to Hong Kong today. Upon arrival, being met by our representative in Hong Kong and transfer to hotel. Half day guided tour to the Victoria Peak, Stanley Market, Aberdeen Fishing Village. Rest of the day is free at your leisure. We also recommend extending your stay in Hong Kong or to Macau, full list of optional tours can be found Optional tours page. You are transferred to the airport for your departure flight home, extension of stay in Hong Kong is available. Internal flights including airport tax.